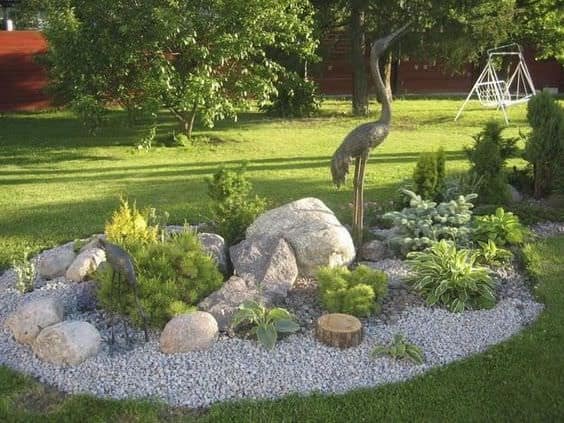 Landscaping rocks (The design of a rock garden and layout of stones) is something that each of us must choose according to his taste. So the decision is subjective and very personal. Therefore, it is difficult to give you advice on this. However, what we can suggest is to watch as many gardens before starting yours. First, consider the different designs that already exist. It is necessary that most of the surface of the stones are buried in the ground. You can also have small stones on your path, for example, or on your border. Preferably, use less stones, but made a selection of old stones. 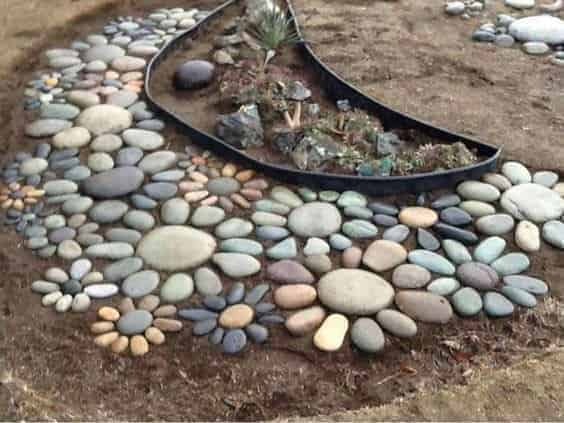 The stones are the preferred material as it is a rock garden. The more they are old, the better. The gravel is used generally as decoration around plants. You will also need fertile soil. Use the top layer of the earth and if necessary, add organic or mineral fertilizers. About plants, choose plants that adapt well to the climate rather than exotic varieties. There is a wide selection of ornamental plants, but it is advisable not to use too many different types of plants. Choose plants of the same group rather than other groups. 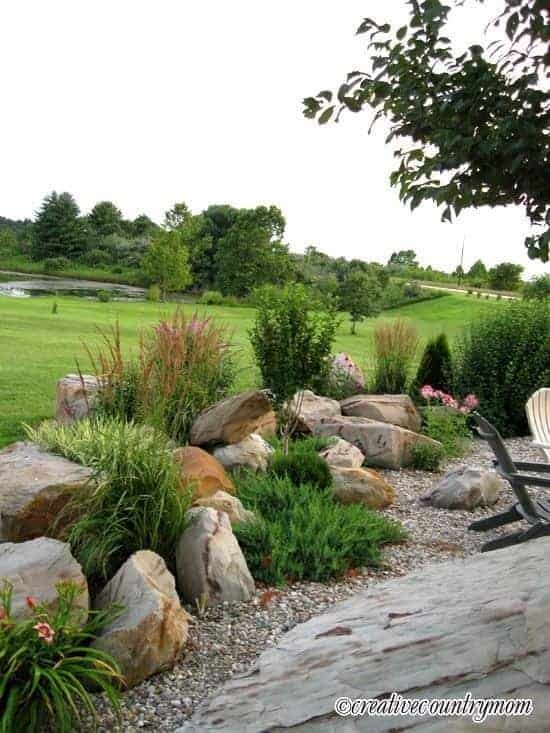 Your space is what you determine the size of the landscaping rocks. Also, remember to their colors and Arrange them in a beautiful way. Many plants like hot weather, but there are species that prefer cool. So, be careful when you make your choice. Shrubs are very persistent and they are suitable for winter, to prevent your rock garden looks dark. Azaleas, dwarf conifers and mountain pine are suitable for your garden. The perennials are indispensable for your rock garden. You can choose for examples, edelweiss, cyclamens, the thrift, the alyssums, the poppies of the Alps, the antennarias, but also herbs such as lavender and thyme which are suitable for your garden. Although grasses are part of perennials, they can be separated. 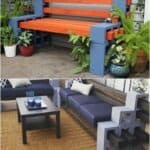 The blue fescue, bear grass, Kentucky bluegrass will beautify your space. The bulb plants can also share your landscaping rocks garden. They are very beautiful in the spring with their flowering. Think also of flowering plants that also in summer and autumn. Think about the options of tulips, daffodils, hyacinths, fall crocus, squill for etc. 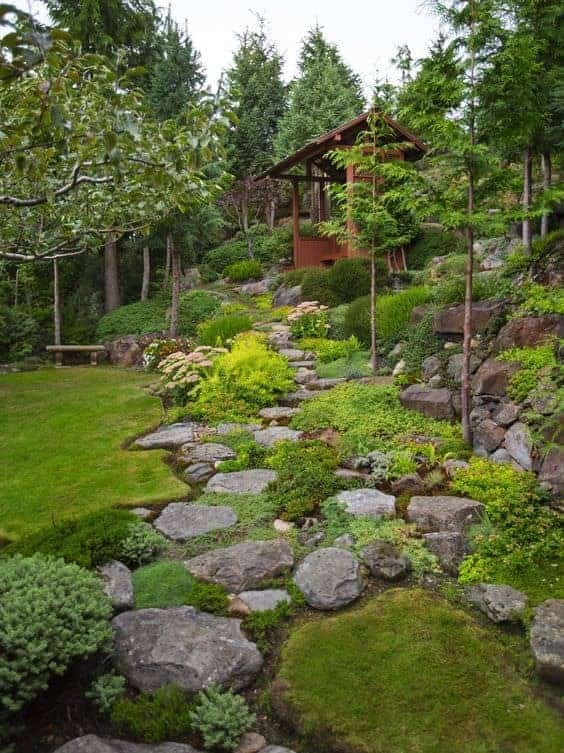 Small shrubs add life to any rock garden. You can add on the floor perennials that will grow in all directions. Choose the few species that will be a real eye-catching in your garden. The big drawback to this type of plants is that they are a little difficult to find and require a little more care compared to other plants. However, as a final result, you'll have things very rare in your garden. Here are some additional tips. 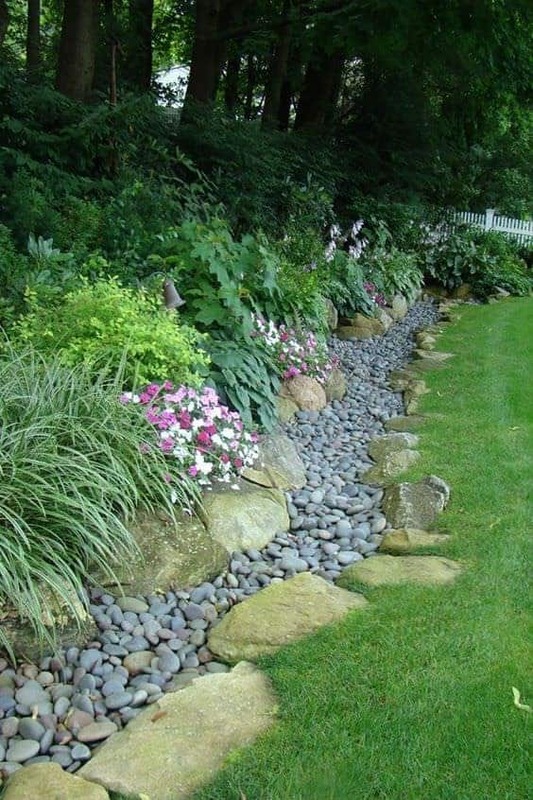 To create a perfect rock garden, you will need to land on a slope. And if you do not have a similar type of field, you can try to create it. 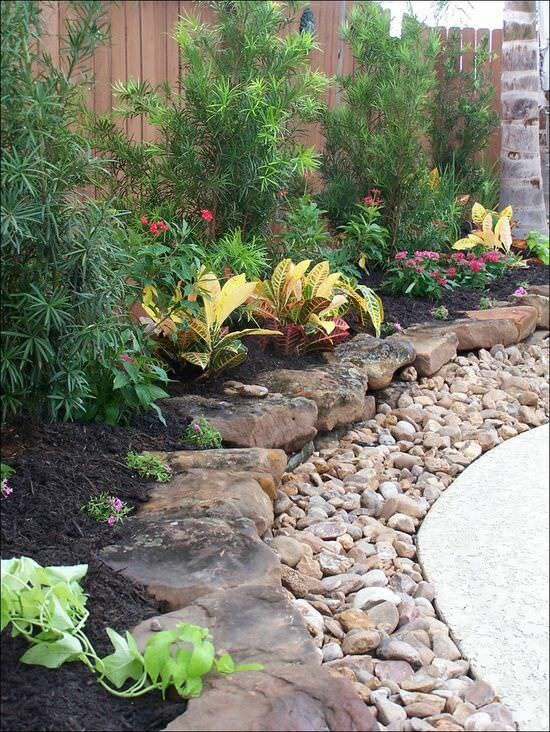 Use landscaping rocks or paving stones and gravel. 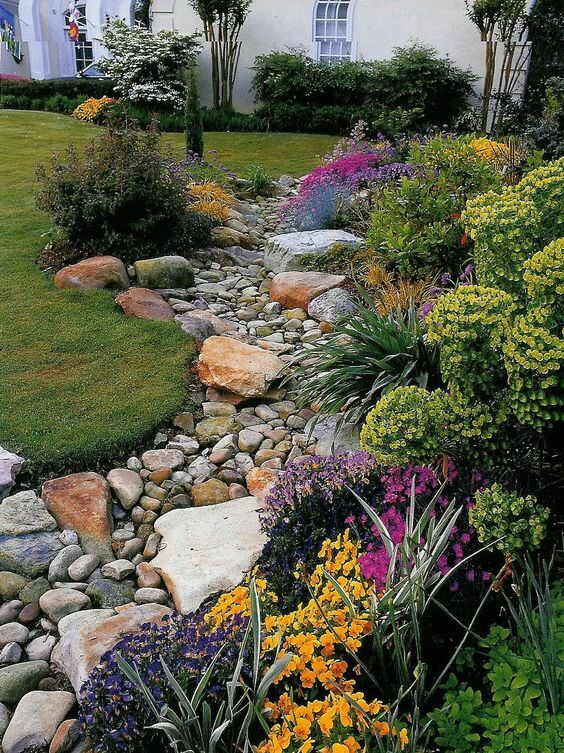 Regarding planting a rock garden, it is not an easy thing, but once finished, it does not still have a lot to do after. About plants, choose those that have large and powerful roots. The plants, which grow between the stones, will need a ground. Mix it with gravel or sand and add a little clay. Remember to carefully consider the soil before you buy your plants species. Green and yellow plants prefer alkaline soil. You can also add a piece of limestone. Group the stones into large blocks, to turn them into a really catchy. They are so beautiful that they will attract any attention away from your guests, and will not remain unnoticed. 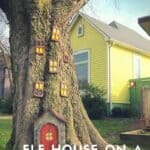 In many countries, there is a tradition of having high menhirs in the garden. It's very common for a Japanese garden, but also for the Chinese garden. The English have adopted this tradition of Celtic. In their gardens, block stone monoliths are almost mandatory because, with their presence, they often recall the guards. They also symbolize strength, endurance, and dignity. If you choose to have such a thing in your landscaping rocks garden you have certainly a very original decor. We hope you find useful information in this article, and you can integrate it into your own rock garden. It is very important that your land is on a slope. Have many perennials between the stones. Choose well as the soil for plants, because it is very important for plant growth. Remember that some plants prefer places that are not hot. 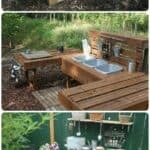 Make also a small pond and have some shrubs or small trees to create a perfect harmony. You can also add birds to your decor. What do you think? Is not that great? 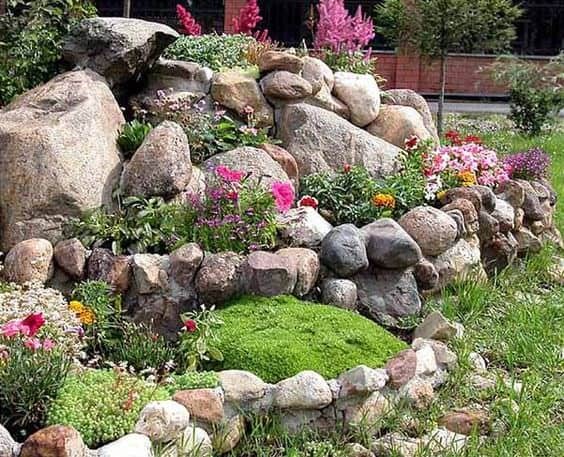 Be inspired by our ideas and create your own rock garden.